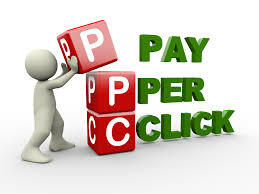 Each PPC or optimizing Pay Per Click Keyword campaign is unique. In PPC you should work smarter. Optimizing Pay Per Click Keywords are the core of it. Use of right keyword is the main thing in this. Some people run their PPC campaign without giving importance to keywords or they don’t know what keyword should use and what to do. 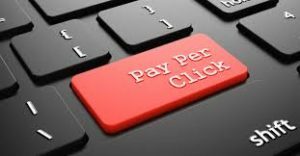 Here are some tips to optimize Pay Per Click keywords. Have a look. Use the apt Optimizing Pay Per Click Keywords for your campaign. For this identify the relevant keywords which have more search volume. These are exact match keywords. In this the exact match keyword type instructs adwords that if the user queries are similar to that of the keyword given in the campaign then show your ad. This will increase the conversion. Never use the exact match keywords for low search volume keywords. In this case, you will not get the expected results. Try to include long tail keywords which have a good search volume. Let’s define the broad match modifier by some example. Consider that your broad match phrase was pink rose. This will be shown in search queries like colour rose, pink flowers etc. In the case of a modified broad match, it will be given like +pink rose. Here for the word pink and for the close words of it, your ad will be displayed. The close words include misspelt words, abbreviations etc. So if the user’s query is like pinkish rose, pink rose etc you ad will be displayed. Some keywords you given in the PPC may not be a perfect match. That is that keywords may be irrelevant for the campaign. It is the responsibility of you to give the promised result to the users. If the user finds something that he/she looking for then they will click on your ad and reach to the landing page. If the landing page doesn’t support the ad and keyword then it will affect the campaign. You may feel that some keywords and catchy and nice but if that keyword has no connection with the landing page then never use it. So use apt keywords and send the user to the relevant web pages.